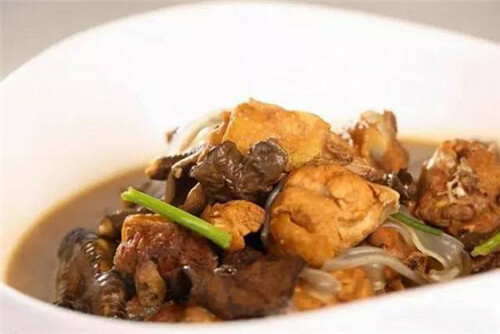 Stewed chicken with Laoshan mushrooms is one of the representative dishes in Qingdao. It stews a local rooster and Laoshan mushrooms in a soup stock. The most delicious part of this dish is the mushrooms; the chicken tastes good, but the stewed mushrooms taste better.